After Treeson water company founder Carlton Solle took a trip to Costa Rica with his family five years ago and saw the dreadful plastic pollution littering the beach, he learned that less than 20 percent of the 50 billion plastic water bottles sold in the United States are actually recycled. The remaining 40 billion end up in landfills, waterways and oceans, or in the Great Pacific Garbage Patch. 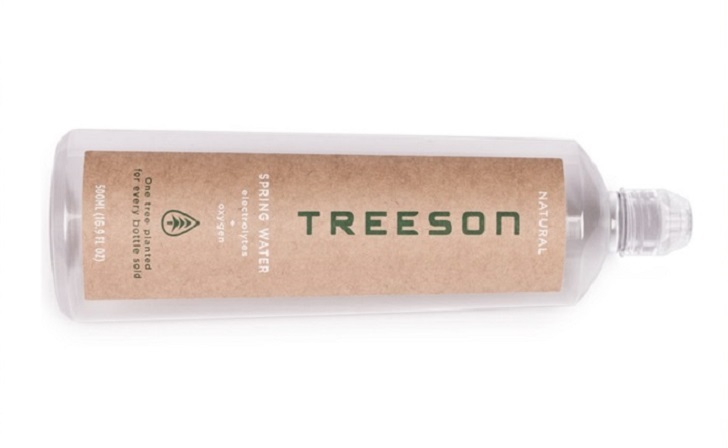 Moved by this to solve water bottle waste, Treeson designed a self-sustaining water bottle that uses water sourced at a natural spring in Costa Rica. Made from eco-friendly packaging that is easily flattened and returned for free via the United States Postal Service, this bottle will be recycled as clean energy with a machine that converts the material into biogas. The Treeson bottle is shaped like a leaf that is made of plant-based material, which is completely biodegradable, compostable and GMO and toxin-free. The bottle can be reused or flattened and sent back with a USPS return mailing label that is part of the packaging of the bottle. Treeson has designed a bottle that is shaped like a leaf and is made of plant-based material that is completely biodegradable, compostable and GMO and toxin free. 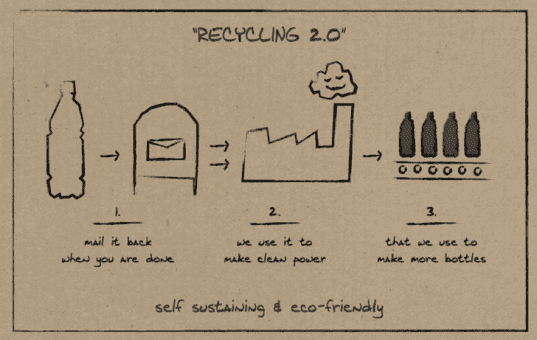 The bottle can be reused or flattened and sent back with a USPS return mailing label that is part of the packaging of the bottle. Treeson aims to solve water bottle waste by producing a self-sustaining water bottle that is sourced at a natural spring in Costa Rica, features eco-friendly packaging and can be easily flattened and returned for free via the United States Postal Service where it will be recycled using a system that creates clean energy with a machine that converts the material into biogas that generates renewable electricity.